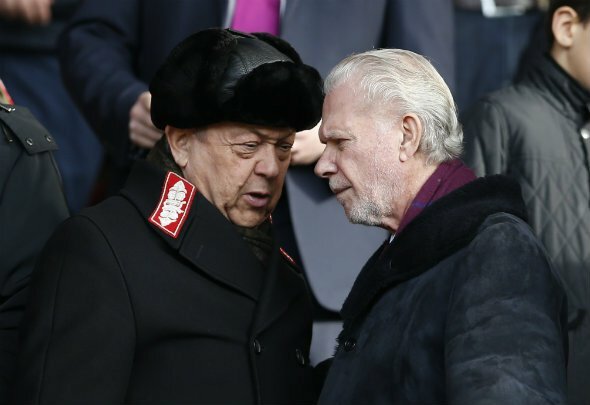 West Ham chairman David Gold has hinted at an influx of players returning from injury in the near future. The Hammers co-owner took to his personal Twitter on last night [Wednesday] to suggest that he had visited the Hammers’ training ground and that Fabian Balbuena, Manuel Lanzini, Carlos Sanchez and Andriy Yarmolenko were all on the comeback trail. “I went to the training ground today [Wednesday]. Good atmosphere. Great to see Fabian Balbuena, Manuel Lanzini, Carlos Sanchez and Andriy Yarmolenko all coming back from long term injuries,” Gold said. Balbuena has been absent since sustaining a knee injury against Watford just before Christmas, while Lanzini has been out since picking rupturing a cruciate ligament in preparation for Argentina’s World Cup campaign. Sanchez has been since September, and Yarmolenko tore an Achilles back October. This will be very welcome news for West Ham fans. Having Balbuena, Lanzini, Sanchez, and Yarmolenko all approaching a comeback will be like having a four new signings onboard, and that will be a massive boost to their ailing campaign. The Hammers have hit a dreadful slump in recent weeks, but it is easy to overlook just how heavily they have been affected by injuries this season. All things considered, Manuel Pellegrini will probably be fairly pleased with the way that his side have faired this campaign, but more importantly he will be looking at next season, looking at the players he still has to had to his squad, and looking at the prospect of bringing in a couple of new faces over the summer, and really fancying his chances of having a decent crack at the top six next year. There’s a long way to go before that might become a reality, but his team are certainly on the right tracks.